Through the night, for many nights, Martin Scorsese sat ensconced in an edit suite. It was 1981 and the director was in post-production for "The King of Comedy," his dark satire of the stand-up circuit. As he worked, a TV in the background pulsed with the sounds of Nass El Ghiwane, a Moroccan band and the subject of "Trances," a concert movie by Ahmed El Maanouni. Over and over, night after night, the same channel repeated its broadcast, the film's hypnotic rhythms seeping into the New Yorker's soul. "It's been an obsession of mine," Scorsese has said. In the years since, he hunted down the band's music, heaped praise on El Maanouni and in 2007 orchestrated a full restoration of the film. Scorsese is part of a generation that includes George Lucas and Francis Ford Coppola: titans of Hollywood who gorged on a diet of foreign cinema. Its influence is telling. Just as the samurai films of Akira Kurosawa filtered down into "Star Wars," Ingmar Bergman's picaresque narratives find a companion in "Apocalypse Now." For Scorsese, African cinema comprised part of his vernacular. "Trances" was an inspiration behind 1988's "The Last Temptation of Christ," and elsewhere the director has described the "incredible impact" of "La Noire De..." ("Black Girl," 1966) by Ousmane Sembene. First watched in 1969, the Senegalese movie "was unlike anything that I'd ever seen," he recalled. "It was like a door had opened in the West and it was the first time we could feel a truly African voice in the cinema." Scorsese took note, but not many heard this African voice, or its contemporaries -- particularly in Africa itself. Part of the problem is distribution, another is politics, say advocates. The result is a generation of cinematic giants left in slumber, and vital pieces of cultural heritage missing. Now, an international effort including Scorsese is aiming to revive these figures -- and revise what we thought we knew about African cinema. Scorsese established The Film Foundation in 1990, a nonprofit dedicated to preserving and protecting historic cinema. A decade ago it launched the World Cinema Project, focusing on films outside the Western canon. It was around then that Scorsese took a trip to West Africa. "In 2007, I visited my friend (the director) Souleymane Cisse in Mali," he told CNN. "Our discussions during that trip highlighted for me the urgent need to preserve African films, many of which are not known or even available, leaving a chasm in our understanding of world cinema." The project has sought to fill this chasm, but so far African films remain outliers. Of over 750 restorations overseen by the foundation, only seven were from the continent at the beginning of 2017. That dynamic is changing, however. In June, the foundation, UNESCO and the Pan African Federation of Filmmakers, known as FEPACI, in collaboration with Cineteca di Bologna, signed an agreement formalizing the African Film Heritage Project, or AFHP. 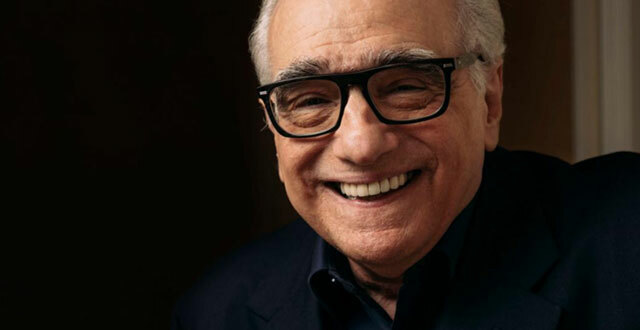 The initiative "will locate and preserve 50 African films, and make them available to audiences in Africa and around the world," Scorsese explains. It's a daunting task, agree all involved. Some of the films identified for restoration are, for all intents and purposes, lost. "If you Google search some of these titles nothing comes up," says Margaret Bodde, executive director of the Film Foundation. "There's no kind of writing about these films." Very rarely were film negatives developed in Africa in the 1960s and '70s, with most taken to laboratories in Europe or the United States. "Sometimes documentation is lost or never existed," says Cecilia Cenciarelli, a curator at Cineteca di Bologna. It can take years of phone calls and emails to find a negative or 35 millimeter print. Often assets are incomplete and scattered, she adds, recalling a Soviet-era title where one reel was found in Cuba and the others in the former East Germany. Each restoration costs anywhere from $100,000-250,000 according to Bodde, which is expensive for a nonprofit. Negotiating access is an additional issue, says Aboubakar Sanogo, lecturer and North American regional secretary of FEPACI. "I won't name the filmmaker, but one entity in Britain has been storing the films of an African filmmaker since the 1960s," Sanogo says as an example. "He's a filmmaker we're interested in working on. That entity just said '...well you have to pay about £100,000 ($132,000).'" "This is completely unethical as far as I'm concerned, but these are some of the difficulties that we are going to be facing in the next decade." The first fruits of the project came to light in May when "Soleil O" ("Oh, Sun," 1970) screened at the Cannes Film Festival under the Cannes Classics sidebar. The debut feature by Mauritanian director Med Hondo "depicts issues that are still relevant today," says Scorsese, describing to CNN "a powerful film about a young man who emigrates from West Africa to France in search of a better life. Instead he finds racism, hostility and hypocrisy." "(Restoring "Soleil O") seems a good way to start this project, by honoring a filmmaker who's still alive, (who) contributed in a less classic way -- a more avant-garde way -- to building big chapters of (a) cultural revolution for Africa," she says. Five more films have been earmarked for restoration, but the foundation is only now revealing the first two titles: "Le Vent des Aures" ("The Wind of the Aures," 1967) by Algerian Mohammed Lakhdar-Hamina, and "La Femme au Couteau" ("Woman with the Knife," 1969) by Ivorian Timite Bassori. Both will be the first titles from their countries restored through the foundation. "Restoration and preservation is really only half the battle," said Scorsese in February. "African films need to be seen by the audiences they were intended for: the African people." The aim is for the five films to screen at FESPACO in 2019, when Africa's biggest film festival in Ouagadougou celebrates its 50th anniversary. But the festival circuit can only reach so far. "We want as many people to be exposed," says Irina Bokova, director-general of UNESCO. "It's very important ... to work with African media, television providers, owners of cinemas, theaters, to show these films." "We won't be dogmatic," Sanogo adds. Despite plans to create 35 millimeter prints, he describes the format as "dead," outlining DVD, Blu-ray and streaming options for future releases. UNESCO will include AFHP titles as part of its Memory of the World Program and the General History of Africa, the latter "a giant project that UNESCO started in 1964 in order to deconstruct the false premises and prejudices attributed towards African history," Bokova says. Some of these have arguably been formed or perpetuated in movie theaters. "From the beginning, African filmmakers were using cinema as a means to raise awareness about its past, about the aspirations of their people, about their histories, but also educating them to meet the challenges of newly found independence," says the UNESCO director-general. But many films were left to gather dust far from home. Meanwhile, Sanogo speaks of a period of cultural neo-colonialism when "Hollywood used to dump their films on African countries," undercutting homegrown productions with lower distribution costs. Sanogo believes that if more people -- and filmmakers -- had access to African cinema, such stereotypes would be less pervasive on and off screen. "We always knew that Hollywood was the best ambassador for the US," he adds. "We believe the same can be done with African cinema." Part of the hope is that African filmmakers today will connect with their lost or forgotten cinematic roots. The slow burn of a Sembene film may be a world away from the cut and thrust of a Nollywood action flick, but there's still a dialogue to be had between past and present. "Even if you view the films of Med Hondo and you're going to take a completely different approach, that's part of the vernacular," argues Bodde. "Knowing history is part of the continuum of art." By reclaiming its cinema, its stories and its history, Africa's filmmakers of tomorrow will be creating from a firmer platform. I'm aware, more than ever, that we know very little about African cinema," Scorsese said at the launch of the project. We're about to find out a lot more. The arrival of "Black Girl" not only announced the emergence of one of the great talents of world cinema, but also inaugurated the spread of the global influence of African cinema beyond the continent's shores. Sembene's way of filming (lead character) Diouana, Senegal, Africa would go on to create cinematic vocations and emulations across the world including infiltrating Hollywood's own backyard through its influence on the Los Angeles Rebellion school of filmmakers, including Charles Burnett, who paid homage to the film in his own brilliant first feature, "Killer of Sheep." "Al Momia" ("The Night of Counting the Years," 1969) dir. Shadi Abdel Salam – Alongside Jean Vigo in France, Mohamed Zinet in Algeria and of course Djibril Diop Mambety in Senegal, Shadi Abdel Salam belongs among the exclusive club of cinematic geniuses who are renowned for making very few films. With its gorgeous colors, delicate costume design and sumptuous mis en scene, in other words, its quasi-mathematical adequation of theme and form, Abdel Salam's monumental "Al Momia" disembalms time and sanctions the drive to invest value in the past, to preserve it, to be literate about it in order to transmit it to generations to come. An absolute must-see. "Alyam, Alyam" ("Oh the Days," 1978), dir. Ahmed El Maanouni – An offering by Casablanca-born Moroccan film director, writer, director of photography, and producer, Ahmed El Maanouni, Alyam Alyam is a master class in non-western filmmaking. Breaking down the shot-reverse shot grammar, interspersing live action with still images to move the story forward and breaking down the continuity style, creating deeply poetic images of the ordinary, the film is an invitation to awaken our senses to other ways of making films. Its haunting final shot makes the gravity of the decision to leave the home for the elsewhere intensely and acutely felt, with all the pain and loss of separation and the uncertainties about the tomorrows yet to come. "Borom Sarret" ("The Wagoner," 1963), dir. Ousmane Sembene – As Ousmane Sembene's first major film, "Borom Sarret" represents many of his cinematic themes. At once an in-depth meditation on the limitations of the postcolonial African state, a lucid assessment of the first years of African independence, an uncompromising critique of the ruling class, and an unparalleled way of tracing of the emergence of homo modernus Africanus. "Borom Sarret" is a compassionate, empathetic yet highly disciplined and rigorous film. "Soleil O" ("Oh, Sun!," 1970) dir. Med Hondo – Med Hondo is one of the founding figures of African cinema who, together with Ousmane Sembene and others, very much personified the political and ethical compass in the aesthetic project of African cinema. "Soleil O" is a bold proposition about cinema; what it can be and what its relationship to our lives ought to be. It is at once an affective, effective and reflexive cinema, a manifesto against calculated and deadly indifference. It is a work several decades ahead of its time.